In a trip to Libya this month, just weeks after Muammar Qaddafi’s fall, I found peace coming fast to Tripoli, despite continued resistance in several Libyan towns. Ten days ago, families with children mobbed Martyrs’ square, where Qaddafi once held forth, to commemorate the hanging 80 years ago of Libya’s hero of resistance against the Italians, Omar Mukhtar. Elementary schools opened last week. The university will open next month. Water and electricity are flowing. Uniformed police are on the street. Trash collection is haphazard but functioning. This is the fastest post-war recovery I have witnessed: faster than Bosnia, Kosovo, Iraq or Afghanistan. Certainly faster than Somalia, Sierra Leone or Rwanda. Why this rapid recovery in a country marked by four decades of dictatorship? Why does Libya seem on track while Egypt seems to have gone off the rails? Libya has at least three important advantages: good leadership and clear goals at the national and local levels, careful planning and adequate resources. Libyans believe Mustafa Abdel Jalil, who leads the National Transitional Council (NTC), is uncorrupted and uninterested in continuing in power. He has pledged not to seek future office. He has visited the liberated cities to celebrate the single goal of freeing Libya from the Qaddafi regime. The NTC has replaced Qaddafi’s green flag with the red, black and green banner emblazoned with the star and crescent that was Libya’s flag at independence. The revolution in Libya was not interested in compromise or a managed transition. It wanted a clean break: Qaddafi out and a new, more democratic regime, in. 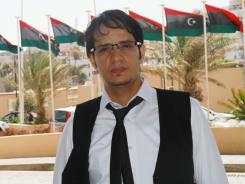 The first time I went to Libya, in 2010, I was arrested just two days into my trip. Filming a documentary for VICE, I was detained for shooting where the authorities thought I shouldn’t, and thus began endless rounds of questions, emphatic yelling, and head-shaking incredulity at my claims of innocence—and, of course, the requisite implications that I was a spy. When I was finally released, I swore I would never return to the Great Socialist People’s Libyan Arab Jamahiriya (official name). 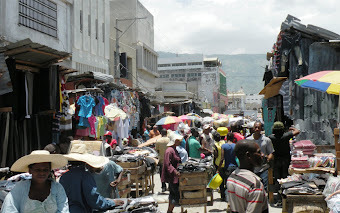 But that promise was quickly broken, and I found myself back in the country almost exactly a year later, in the midst of a chaotic and violent revolution. 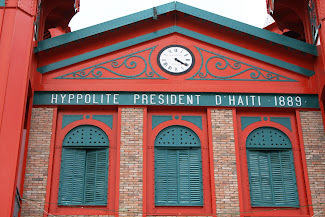 Very rarely is one given the chance to live history, to experience revolution firsthand in all its ugly glory. And it is ugly. 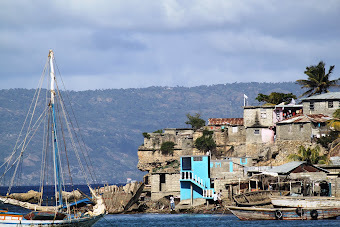 Sporadic, disordered communications; crumbling and damaged infrastructure that inhibits movement; intermittent electricity; infrequent meals; and the thumping bass of faraway artillery and the treble of nearby machine-gun fire ensures dialed-up adrenaline. 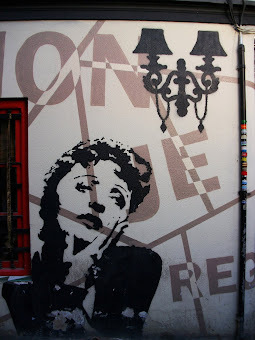 It is, at its best, organized chaos and, at its worst, anarchic chaos. But what a wonderful chaos it is. Watching the push for freedom against one of recent history’s most tyrannical dictators has to be one of the most inspiring moments of my life. Not many people saw the Arab Spring coming. I’ve spent a lot of time in the Middle East and would have bet large sums of money that widespread upheaval would never happen in the region, so when rebellion erupted earlier this year—in Tunisia and Egypt—I was still doubtful that it could ever spread to Libya. Gaddafi had too much power, control, and money for the people to effectively challenge him. Again, I was wrong. As I write this, rebel forces have entered Tripoli, overrun Gaddafi’s compound, and are hunting for the colonel so that he can be tried for crimes against humanity—or offered safe passage to exile. We Will Stay Here, a ballad by Adel Al Mshiti, a 38-year-old doctor, has dominated the Libyan airwaves for the past six months. It's played at every demonstration, in every taxi and every shop in Libya's recently liberated capital. "We will stay here," go the song's lyrics, "until the pain goes away." "We will live here, the melody will sweeten," urging Libyans to stay in the country and endure the oppressive conditions under dictator Moammar Gadhafi. It was the first song to come out of Libya when the revolution started. When camera crews rolled into Benghazi in the earliest days of the uprising, it was what the crowds were singing as they celebrated liberating their city. But the story of its inspiration is joyless, as Al Mshiti told it recently in Tripoli. At age 22, Al Mshiti was a medical student in Benghazi when he was arrested and thrown in prison. His crime was treating the victims of a violent crackdown on anti-Gadhafi protesters in 1996. Too scared to go to public hospitals where they might be arrested, the injured protesters had turned to Al Mshiti and other sympathetic medical students to treat their bullet wounds. From that moment on, Al Mshiti's home was placed under surveillance. Eventually, more than 100 armed internal security officers surrounded the house. They entered it and held his mother at gunpoint until Al Mshiti was found and taken away to the headquarters of Gadhafi's security forces in Benghazi. Over the course of Libya's six-month revolution, activists took thousands of photos to document their struggle against the Gadhafi regime. At the very beginning, on the day activists planned to launch the revolution, there was one photo that stood out — and it captured the imagination of people around the world wishing for the fall of Moammar Gadhafi. 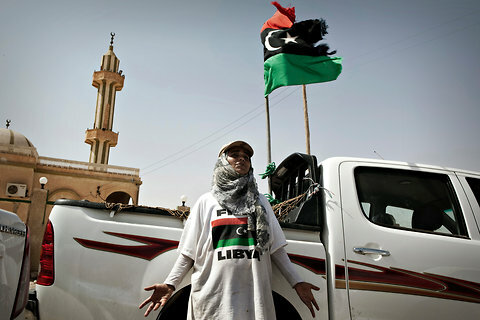 Zehra Tajouri: The photograph taken by Zehra Tajouri has become an iconic image of Libyan rebellion. The green cloth she holds is no ordinary banner. She has defaced Muammar Gadhafi's official Libyan flag – an act of defiance that could get her killed if she had been in Libya at that time. 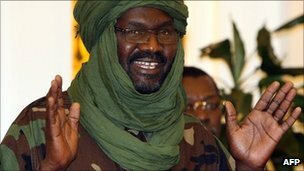 The leader of Darfur's main Justice and Equality Movement (Jem) rebel group, Khalil Ibrahim, has returned from exile in Libya. Mr Ibrahim fled Libya after Col Muammar Gaddafi's government - which gave him refuge last year - was ousted. Sudan had accused Mr Ibrahim's forces of fighting for Col Gaddafi in his attempt to hold on to power. Mr Ibrahim said he had evaded attempts by Sudanese intelligence to capture him in Libya, reports say. Jason Beaubien/NPR: Musicians and other Libyans who once dared not express themselves are finding a new outlet on the country's newly freed radio stations. Shown here, a recent day at the studios of Radio Libya — once a state-run station — in Tripoli. The fall of Libyan dictator Moammar Gadhafi has brought about a dramatic change on the radio dial in Tripoli, the Libyan capital. In the past, Libyans could only tune in to the government stations. Foreign broadcast signals were blocked. And what the state-run stations offered was tightly controlled and laden with pro-Gadhafi propaganda. Now, the airwaves that used to only carry four state-run stations — broadcasting only in Libyan Arabic as a mouthpiece for the Gadhafi regime — are filled with broadcasts from across the Mediterranean and neighboring Tunisia. There's news from Radio France International. Announcers yell in Italian. A station in Tunisian Arabic can be heard. Shakira is singing in Spanish and English. In the past, the government jammed all these broadcasts. Mohammed Salem/Reuters: TO ARMS - A rebel officer in Benghazi, Libya, taught women how to use various weapons during a training session in June. 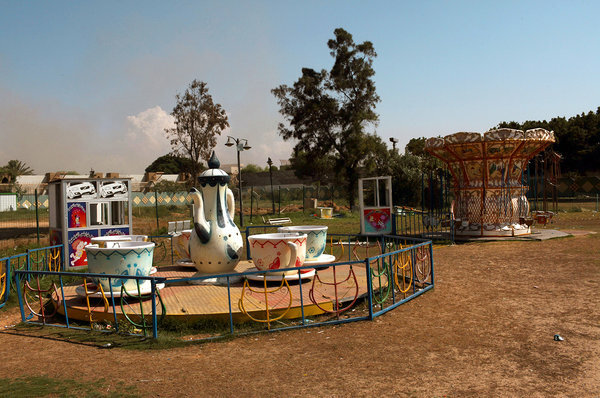 TRIPOLI, Libya — Aisha Gdour, a school psychologist, smuggled bullets in her brown leather handbag. Fatima Bredan, a hairdresser, tended wounded rebels. Hweida Shibadi, a family lawyer, helped NATO find airstrike targets. And Amal Bashir, an art teacher, used a secret code to collect orders for munitions: Small-caliber rounds were called “pins,” larger rounds were “nails.” A “bottle of milk” meant a Kalashnikov. Sarah Elliott for The New York Times: Hweida Shibadi, left, and Nabila Abdelrahman Abu Ras gave aid to Libya's rebel forces and now seek a greater role in society. In the Libyan rebels’ unlikely victory over Col. Muammar el-Qaddafi, women did far more than send sons and husbands to the front. They hid fighters and cooked them meals. They sewed flags, collected money, contacted journalists. They ran guns and, in a few cases, used them. The six-month uprising against Colonel Qaddafi has propelled women in this traditional society into roles they never imagined. And now, though they already face obstacles to preserving their influence, many women never want to go back. “Maybe I can be the new president or the mayor,” Ms. Gdour, 44, said Monday afternoon as she savored victory with other members of her rebel cell. They are three women who under the old government ran an underground charity that they transformed into a pipeline for rebel arms. But in the emerging new Libya, women are so far almost invisible in the leadership. 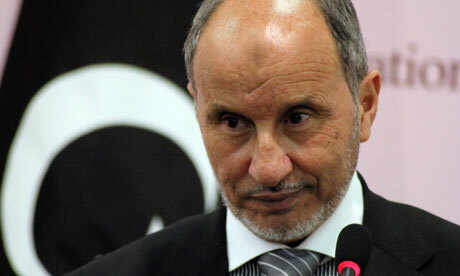 Libya’s 45-member Transitional National Council includes just one woman. The council’s headquarters does not have a women’s bathroom. In neighboring Egypt, women have had trouble preserving gains from their own revolution. And in his exceedingly eccentric way, Colonel Qaddafi may have had a more expansive view of appropriate female behavior than some conservative Libyan families. Still, much as Rosie the Riveter irreversibly changed the lives of American women after World War II, Libyan women say their war effort established facts on the ground that cannot be easily undone. Women from many walks of life are knitting small rebel support cells into larger networks, brainstorming what they can do next to help build a post-Qaddafi Libya. Men are also responding, with some who once objected to fiancées and sisters working late or attending protests now beginning to support such activities. Fear of sexual coercion by Qaddafi cronies, once a pervasive threat to prominent women, has evaporated. 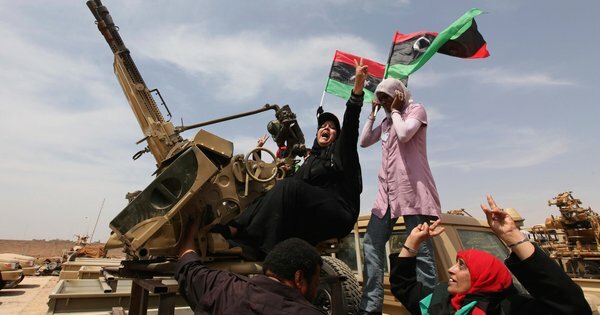 Perhaps most important, women here participated in such large numbers they helped establish the legitimacy of the revolution, demonstrating that support for the uprising has penetrated deep into Libyan society. Dr. Mariam Talyeb, seven months pregnant with her first child, stood at the final rebel checkpoint in the city of Bani Walid, Libya. NEAR BANI WALID, Libya — The rebel fighter, in a billowing white “Free Libya” T-shirt, jeans, scarf and camouflage cap, was leaning against a car, talking in a businesslike manner with other rebels. It took a few long stares to realize that this fighter was a woman, the only Libyan woman in sight. She was one of hundreds of rebels at this roadside outpost — a mosque, clinic and store dwarfed by the desert landscape massing for a possible assault on the pro-Qaddafi stronghold of Bani Walid. They had been there for days, and the sleeves of her shirt were brown with desert dust. Her name was Miriam Talyeb. She was 32 years old, a dentist and seven months pregnant with her first child. Her husband was part of the brigade of fighters who carried assault rifles and drove trucks mounted with rocket launchers. The Gulf Co-operation Council (GCC) has called for "an immediate end to the killing machine" in Syria, and reiterated its demand for government reforms. Ending a meeting in Jeddah, Saudi Arabia, the six foreign ministers of the Gulf Arab states issued a statement calling for an end to the crackdown on anti-government protesters and urging "the immediate implementation of serious reforms that meet the aspirations of the Syrian" people. Last month, the GCC called on the Syrian leadership to "resort to wisdom" and stop the bloodshed. Saudi Arabia, Kuwait and Bahrain recalled their envoys from Damascus to protest against President Bashar al-Assad's use of force in the uprising against his family's 41-year rule. Qatar shut its embassy after it was attacked by Assad loyalists in July. The United Nations estimated on August 22 that more than 2,200 people have been killed since protests began in March. Scores have been reported killed in the following weeks and Syrian activists now put the death toll closer to 3,000. In the latest reports of bloodshed, activists said a woman was killed near the Iraqi border on Sunday. "A 40-year-old woman was killed at noon on Sunday by a stray bullet as security forces were tracking wanted people in the town of Albu Kamal," the UK-based Syrian Observatory for Human Rights cited an activist in Deir al-Zor province as saying. The Observatory also said a 17-year-old boy died of wounds sustained a day earlier when security forces fired at a funeral for Ghayath Matar, an activist who reportedly died from torture in prison. WADI DINAR, Libya (AP) -- Revolutionary forces battled their way back into a key stronghold of Moammar Gadhafi loyalists on Sunday, seizing control of the northern half of Bani Walid and fighting supporters of the fugitive dictator in the town center, said the fighters and a resident. After a week of efforts to negotiate a peaceful surrender of Bani Walid - one of the last bastions of Gadhafi loyalists - anti-regime fighters launched a two-pronged assault on the town that soon dissolved into street fighting. But Gadhafi supporters have put up fierce resistance and forced former rebels to retreat Saturday amid a barrage of rocket and mortar fire. Bani Walid is one of three significant remaining bastions of support for Gadhafi, along with Sirte on the Mediterranean coast and Sabha in the southern desert. The surprisingly stiff resistance has continued despite the effective end of Gadhafi's nearly 42-year rule on Aug. 21, when Libyan fighters swept into the capital, Tripoli. The Gaddafi regime may not be the only casualty of events over the past six months. Africa's most powerful nations may have been compromised by their dealings with Libya under the discredited colonel. The fall of Muammar Gaddafi has shed a harsh light on those who may or may not have done business with his regime over his 42 years in power. This week saw British Prime Minister David Cameron promising to look into accusations that British secret services helped with the kidnapping of Gaddafi's opponents. And on 31 August Channel 4 News Chief Correspondent Alex Thomson reported on the links between Colonel Gaddafi and the firm General Dynamics UK, which makes and exports sophisticated command and control systems. In the course of more than four decades, the colonel also established relations with governments, and the political opponents of governments, across the African continent. After failing to assume Colonel Nasser's mantle as leader of Arab nationalism, he turned to Africa, where he went on to support to a range of leaders whose reputations have been discredited in the west, from Uganda's Idi Amin to Mengistu Haile Mariam of Eritrea and Liberia's Charles Taylor. Labour used controversial control orders to put Libyan dissidents in Britain under house arrest – at the behest of Colonel Gaddafi. The revelation will revive the debate about the draconian anti-terrorism measures and raise questions over whether they have been misused as tools of international diplomacy. 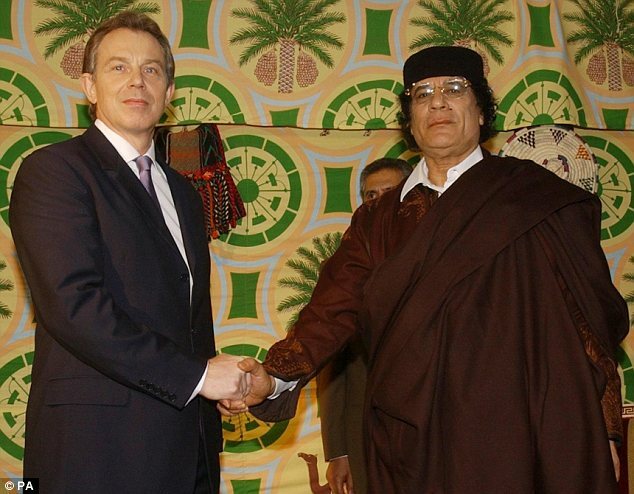 The disclosure, in documents abandoned in the British Ambassador’s residence in Tripoli, suggests at least 12 UK-based opponents of Gaddafi may have been double-crossed by the Labour Government. More than 50 Libyan dissidents won asylum in Britain 15 years ago, at a time when Gaddafi was an international pariah. 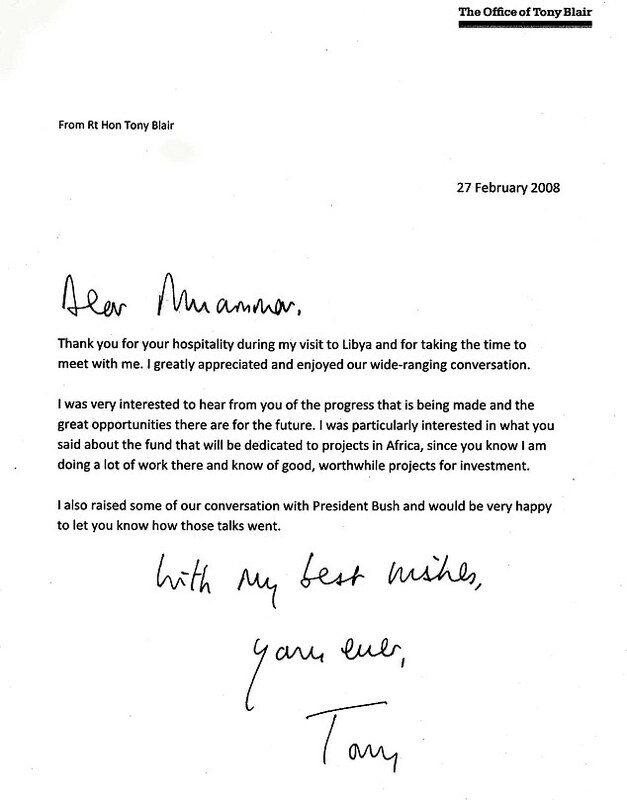 But after Tony Blair signed his infamous ‘deal in the desert’ in 2004, bringing Gaddafi in from the cold, several people were designated a terrorist risk and put under house arrest. The documents suggest their alleged crimes were ‘passport forgery’ and ‘fundraising for relatives’. Now some of those dissidents have returned to Libya as part of the Allied-backed operation to install a new pro-Western administration. Amr Dau Algala was picking through the ashes with a stick when he came across the charred and broken bones. A little later he found the buckle. "Only my brother was wearing a belt in our group. This looks like my brother's," he whispered, looking down at the twisted piece of metal. Around 60 men, prisoners of Muammar Gaddafi's regime, died when guards first opened fire and then tossed grenades into the warehouse where they were being held. Among them was Amr and three of his brothers. They ran for their lives amid the flames, noise and confusion and escaped. A fourth, 25-year-old Abdullah, is missing. "The last time I saw Abdullah was there, sitting in that corner," said Mr Algala, pointing at a blackened corner of the metal box, around 25 feet long and 20 feet wide, into which more than a hundred captives had been crammed. "He is young and looked very scared that morning. When the guards opened fire I started running. I looked back, but there was too much smoke, I could not see my brother. Some people got away after us, we are really hoping Abdullah was one of them, but we don't know." Six mounds of reddish brown earth, in a stretch of ground next to the headquarters in Yarmuk of the 32nd Brigade, commanded by Khamis, Colonel Gaddafi's son, marked where the remains of the prisoners had been buried. Decomposed by the heat in the shallow graves most of them have been impossible to identify. The revolutionaries in Libya claim that up to 50,000 people have died or disappeared in the hands of the regime's forces since the uprising began in February. Caution is needed about such numbers and the figure may well be too high. But it is also the case that what happened to the Algala brothers is just one of many examples of Gaddafi's forces taking vicious retribution in the dying days of the regime. To Jerry Erwin, getting rid of Moammar Gadhafi was like ridding the world of Adolf Hitler. (CNN) -- One day in April, Jerry Erwin went online at home and purchased an airline ticket. Turkish Airlines to Istanbul. It was not exactly a planned trip. But neither was it impulsive. He acted after watching weeks of coverage of the Libyan war. Erwin, 46, was especially struck by the images of amateur rebels fighting the professional army of strongman Moammar Gadhafi. Everyone thought the rebels would get slaughtered, that they had no chance of victory. LYON, France – INTERPOL has issued Red Notices for Libya’s Muammar Gaddafi, his son Saif Al-Islam Gaddafi and former director of military intelligence Abdullah Al-Senussi after the Prosecutor of the International Criminal Court (ICC), Luis Moreno-Ocampo, requested the world police body to issue internationally wanted persons notices against the Libyan nationals for alleged crimes against humanity, including murder and persecution. The publication of INTERPOL Red Notices for the three men is part of INTERPOL’s collaboration with the Office of the Prosecutor of the ICC to assist cooperating member countries in their efforts to enforce the arrest warrants issued by the ICC. The Red Notices have been circulated to all of INTERPOL’s 188 member countries and include essential identifying and judicial information. In addition to the publication of the Red Notices, INTERPOL is offering the full support of its Command and Coordination Centre and asking its member countries to take all measures consistent with their national laws to help the ICC locate and apprehend Gaddafi. "Prosecutor Moreno-Ocampo’s request for INTERPOL Red Notices will significantly restrict the ability of all three men to cross international borders and is a powerful tool to help in their location and arrest,” said INTERPOL Secretary General Ronald K. Noble. "As far as INTERPOL's General Secretariat headquarters is concerned, Muammar Gaddafi is a fugitive whose country of nationality and the International Criminal Court want arrested and held accountable for the serious criminal charges that have been brought against him. "INTERPOL will cooperate with and assist the ICC and Libyan authorities represented by the Interim Transitional National Council of Libya to apprehend Muammar Gaddafi," added Secretary General Noble. The publication of INTERPOL Red Notices for Gaddafi and the other two Libyan nationals will see INTERPOL's specialized Fugitive Investigation Support unit at its General Secretariat closely liaise with its National Central Bureaus worldwide to pool and update all relevant intelligence to ensure that they are located, arrested and surrendered to the ICC. “Arresting Gaddafi is a matter of time. By requesting an INTERPOL Red Notice the ICC ensures that the arrest warrant for Gaddafi is in the hands of law enforcement around the world,” said Prosecutor Moreno-Ocampo. Since INTERPOL and the Office of the Prosecutor of the ICC signed a cooperation agreement in 2004, INTERPOL has worked closely with the ICC. In addition to the Red Notices now issued for these three Libyan nationals, there are currently seven valid Red Notices issued at the request of the ICC. Since March 2011, through the publication of Orange Notice global alerts against Colonel Gaddafi and other Libyan nationals, including members of his family and close associates, INTERPOL has been warning member states of the danger posed by the movement of these individuals and their assets following the sanctions established by United Nations Security Council resolutions 1970 and 1973 (2011). Among the files were documents confirming that both the US Central Intelligence Agency (CIA) and the United Kingdom’s MI6 sent terrorism suspects to Libya for detention – despite Libya’s notorious record for torturing prisoners. 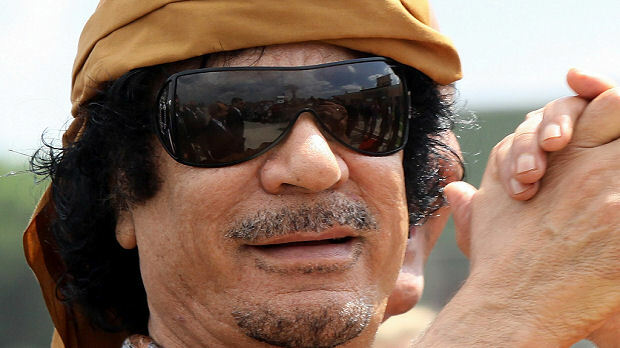 The documents were found in the office of Musa Kusa, Gaddafi’s former intelligence chief. We viewed several hundred documents and photographed about 300, but didn’t remove any. We have been working with Libya’s National Transitional Council (NTC) to secure the building, keeping the documents safe so they can be used as evidence in court. We continue to scour Tripoli for more documents, trying to ensure that archives are secure. The CIA communications that we saw were drafted while George W. Bush was president and included information like flight schedules and lists of questions to be asked of suspects. They also established that the CIA sent agents to interrogate suspects in Libyan custody. This confirms Human Rights Watch’s earlier findings of US and UK complicity in the torture of suspects in foreign countries, published in 2004. The US says it has not transferred any detainees to Libya since 2007. The files we reviewed included details of at least four renditions, including that of Abdul Hakim Belhaj, former leader of the Libyan Islamic Fighting Group and now rebel military commander in Tripoli. 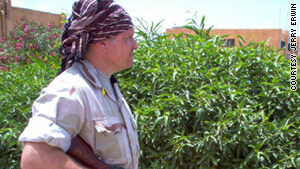 The group sought to overthrow Gaddafi in the 1990s and played a major role in the current revolt. 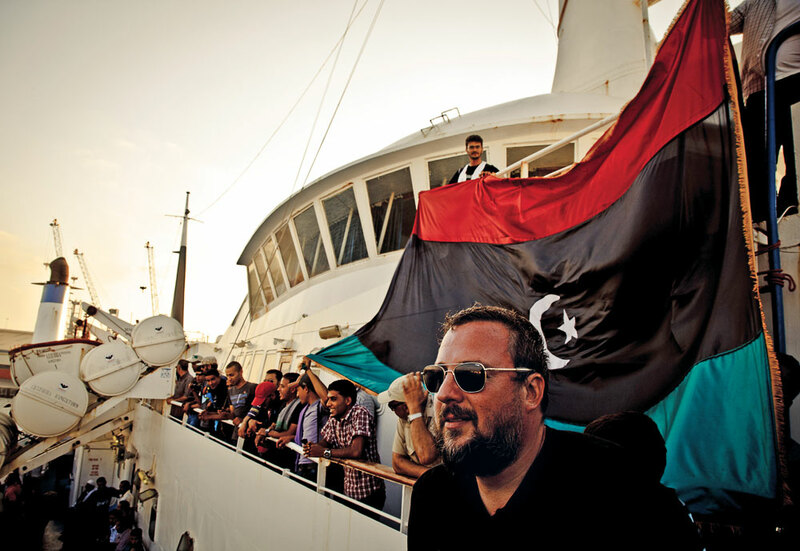 During a mission to Libya in 2009, Human Rights Watch interviewed Belhaj. At the time, he was in Abu Salim prison, where Gaddafi locked away political prisoners and the site of a notorious 1996 prison massacre. 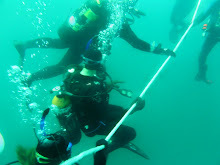 It was also where Libya detained many of the prisoners transferred by the CIA. Belhaj said that he and his pregnant wife were detained in Malaysia in 2004, then rendered to Libya. He said CIA agents interrogated him about alleged ties to al-Qaeda – ties he denied – and beat and hung him by his limbs on a wall. An analysis of the documents viewed by Human Rights Watch reinforces the need to end the policy of relying upon “diplomatic assurances” by governments that torture that they will treat prisoners transferred to them humanely. At least two of the documents – one involving Belhaj – show that the US sought assurances that Libya would respect the rights of rendered suspects. But it is inconceivable, given the Gaddafi regime’s record of torture – acknowledged by the State Department – that the US government took these assurances seriously.